I was incredibly jazzed to grab this image of OV101, a.k.a. 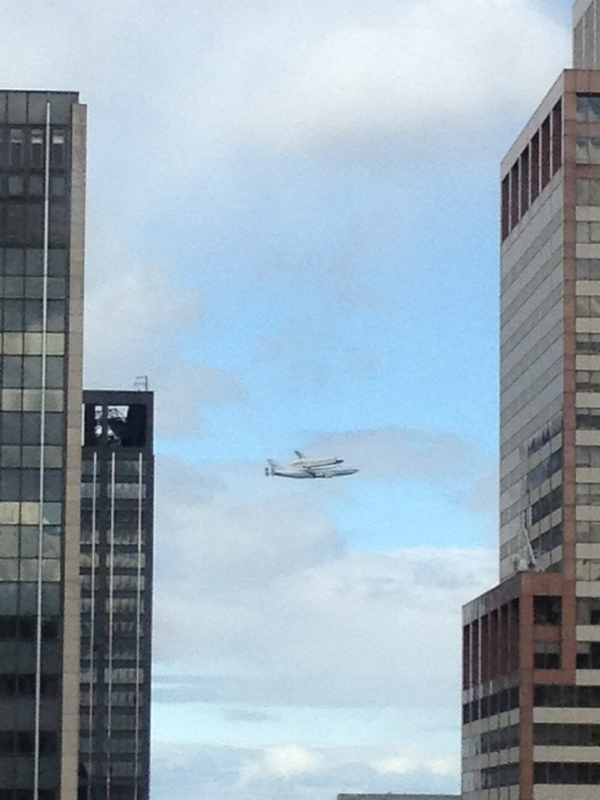 the space shuttle Enterprise, as it flew into New York. I know it was just a test orbiter that never made it to space…but still. It’s the Enterprise! It did my geek heart good to see it. And I got my entire office crew psyched for it, too. Welcome to the Big Apple, Enterprise!